WE ARE IN IMMEDIATE NEED of hospitality and construction interns. If interested, download the college intern application here and send it to us at info@raisetheroofproject.org. Are you seeking a summer experience to help you stretch and grow? 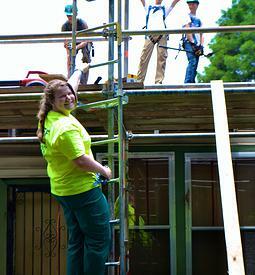 As a Raise the Roof Project intern you will develop leadership skills, live in community, mentor students, and be trained in construction practices. This is an opportunity to live out the Gospel in word and deed. Email us at info@RaisetheRoofProject.org to learn more about being an intern.